Xiaomi Is Developing Even More Advanced Fingerprint Readers Under-Display, Will Appear In Mi 9? You are at:Home»LATEST NEWS»Xiaomi Is Developing Even More Advanced Fingerprint Readers Under-Display, Will Appear In Mi 9? The technology of the fingerprint readers integrated in the screen is slowly progressing, so much so that the number of producers proposing this solution is growing, even if very slowly, reserved for some top-of-the-range products at the moment. Even Xiaomi has a couple of models with the screen reader, Xiaomi Mi 8 Pro and Xiaomi Mi 8 Explorer Edition, whose solutions are not, however, without problems. It seems that Xiaomi is preparing some stronger premiere because the company’s management is doing everything to keep up interest. Only Lei Jun wrote a few words about loading, and Lin Bin returns with another information. This time, Lin Bin published a video on Weibo website, which presents a new fingerprint reader, sunk in the screen, which seems to be decidedly more practical and faster than the one we know even with the Xiaomi Mi 8 Pro. Lin Bin writes that the new reader was working at Xiaomi for a good half year. We managed to achieve an easier procedure to add a fingerprint. Just apply it once (as seen in the video clip) to remember the trace – you do not have to touch and wait for the vibration and repeat this action a few times. In addition, the reader has a larger surface, it is easier to finger it up, even without looking. 25 x 50.2 mm is even more than the traditional readers offer. 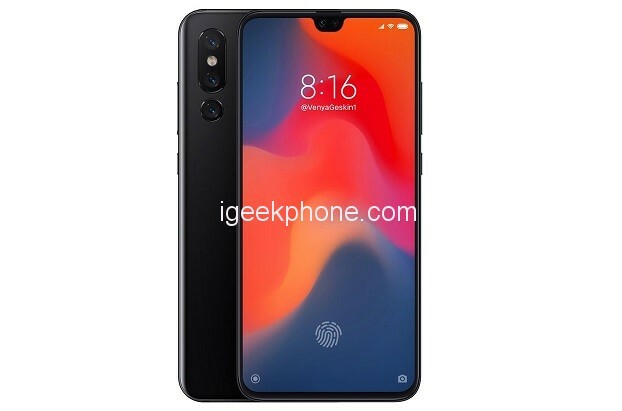 Unfortunately, Lin Bin dispels doubts – in Xiaomi Mi 9 there will definitely not be such a reader, but if the proposal meets favorably with the fans, the company “will consider releasing it in the future product”. So maybe Mi Mix 4?